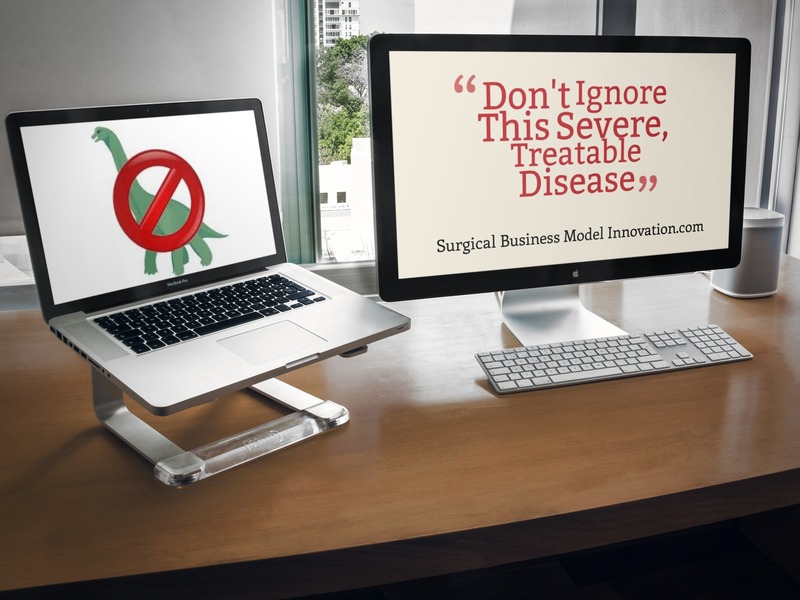 Surgeons: Don’t Ignore This Severe, Treatable Disease! Posted on August 19, 2014 Author David	No Comments on Surgeons: Don’t Ignore This Severe, Treatable Disease! With all of the media hype regarding Robin Williams’ suicide, I thought it appropriate to bring up a topic that I find quite important. Physician suicide. If you think that’s not a good blog topic, or that we shouldn’t talk about it–or even that you don’t want to hear about it–then you are DEFINITELY the person who should read on. Mental illness knows no boundaries. Whether you are a famous actor, a child, a homeless person or even a physician, depression and suicide destroys lives. Why is this in a blog regarding business models and hospital systems? Because this is an example of a way we can improve our system. Any profession that allows the loss of one of its own can be improved. I don’t know how to fix it but I hope someone else does. In the meantime, let’s start a conversation about it…because awareness is a good start. For (at least) five years, “the future”meant “next weekend”. Knowing your call schedule for the month before the month started was a luxury, and even then it could change at any minute. Financial planning consisted of paying your bills and keeping your bank account above zero. Living a healthy lifestyle meant having (not necessarily using) a gym membership and sleeping for more than 4 hours on six out of seven nights. The future meant surviving each shift by looking forward to your sacred 24 hours off, and not much else. Emotional stability meant you showed no emotion. Physicians, and especially surgeons, do not do a great job of caring for themselves. During our training we defer our salaries, postpone our personal goals, set aside social commitments and are often forced to plan our lives month by month. Residency is consuming and exhausting and seeing beyond graduation is enough of a challenge, seeing to the ends of our careers is nearly impossible. For all of the emphasis on anticipation and prevention in surgery, for as hard as we work to protect our patients, surgeons do very little to protect themselves. Surgery is emotionally and physically draining. The burnout rate for surgeons is abnoxiously high and likely underestimated. And the physical cost of long hours, late nights, navigating large hospitals and hands-on patient care is not insignificant. Due to the training required and the intensity of the job, surgical careers start late and end early. And we do very little to protect ourselves from, well, ourselves. In the U.S., suicide deaths are 250 to 400 percent higher among female physicians when compared to females in other professions. Among male physicians, death by suicide is 70 percent higher when compared to males in other professions. In the general population, males complete suicide four times more often then females. However, female physicians have a rate equal to male physicians. Women physicians have a higher rate of major depression than age-matched women with doctorate degrees. This makes me sad. (Don’t worry…not that sad.) We spend our days and nights and weekends snatching people from the jaws of death, yet we let our own people die the most painful deaths? Think for a moment about what it is like to suffer so much that you take your own life…what terrible suffering that must be. To know that physicians, strong and intelligent and persevering people like yourself, have taken their own lives? The loss of life, of talent, of influence in a community….truly a waste. Physician suicide is a problem across all specialties, but I want to talk specifically about surgery. Surgery is a tough sport because it preys on weakness and always finds our weakest point. Long nights, high stakes life-or-death situations, empty stomachs, harsh critics and strict deadlines. As a surgeon, the amount of stress we face on a daily basis is already too much. Add to that the emotional stress of seeing people die and families mourn, the associated accountability and feelings of guilt, and the “extras” like M&M, ABSITE/boards and interviews which get tacked onto the “side.” The life of a surgeon is unforgiving to say the least and our training prepares us for much of this, but it doesn’t make us immune to stress and depression. As much as I hate to admit it, surgeons are just people…and we have limits. On top of the stress inherent to the job, societal stresses and double standards have further isolated us emotionally. For example, take the snide comments regarding our paychecks. I’ve been told by more than one patient that doctors make too much money, and I’ve admittedly felt a little ashamed. However these patients don’t know that most medical students have over a quarter million dollars of educational debt, that residents can’t always pay all of their bills, that our “huge”paychecks don’t start rolling in until we are in our 30’s. To be attacked by the very people you are trying to help is an added stress and it takes an emotional toll whether conscious or subconcious. Another issue is our lack of support from the public, other hospital staff and even our own families. The truth is that no one truly understand what it costs to be a physician. We sacrifice our 20’s to school and eventually to residency, we work when our patients need us and sacrifice our own lives for their sake, we endure years and years of stifling training and sacrifice time and youth inside the hospital…and yet no one really understands. Is what I’m saying making you uncomfortable? Unfortunately, that’s how it goes when we stop and look at what we do. Probably still worth it to look at what we do instead of ignoring our situation. After all, maybe if we acknowledge the challenges we can work to avoid those preventable deaths. Truth is, no one offers any sympathy because all they see is the big paycheck, the fancy car and the letters behind our names…and they forget that we have earned it. The luxuries we afford ourselves have been delayed by years and even those luxuries are used against us in underhanded ways. Surgery, specifically residency, is also a lonely time. Even though we work with people every day, we lack the time we need to build and sustain healthy relationships with family and friends. Our work schedule prohibits the downtime that is need to maintain stability. For those of us that are married, we take time from our families and give it to strangers. For those of us who are not married, an empty house and a limited social life is expected. For for the women who deal with the stigma of being unmarried, or being child-free while living and working in a male dominated field…well, I’m sorry you have to deal with that. The truth is, surgery is isolating and dangerous. It is a setup for depression and suicide, yet at times it seems we have done little to prevent it. All surgeons go through the same trials, some face more difficulties than others, and even the “easiest” of careers is maximally stressful compared to the general population. I would venture to say that most of us, somewhere along the way, have dealt with some degree of depression. But why don’t we talk about it? Depression and suicide are taboo, especially in surgery. And talking about it (or trying to get help!) can hurt your career…a very dangerous situation. And that’s why we’re discussing it here. As surgeons, we spend a lot of time and money preventing adverse events in our patients. For example, CTAs for blunt cerebrovascular injuries (BCVIs). BCVIs have a low incidence yet morbid consequences…but nowhere near the rate of physician suicide! It’s unacceptable. Let’s be scientists (& doctors!) about this and start paying attention to this problem. After all we spend a lot more time looking for things MUCH less common than depression. Depression is treatable and many suicides are preventable. So next time you see someone who may be struggling, become their doctor and save a life. We owe it to our patients, our loved ones, ourselves to prevent the loss of more surgeons. And most importantly, we owe it to our colleagues who are suffering with depression. Next Next: Update Your Medical Knowledge Base!